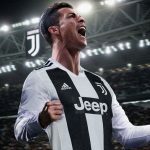 Ronaldo, the man known as CR7 to his fans, has had a hugely successful career that has seen him play for three of Europe’s super clubs – Man United, Real Madrid and Juventus – and win a host of different achievements. Over the course of his career, he’s received five Ballon d’Or awards, is the first player in history to win four European Golden Boot awards and has achieved over 700 senior career goals. These are some of the key moments the Portuguese football superstar has enjoyed over the course of his career and if you fancy making any wagers on his future, remember to use Infogol to help you. In 2011, Ronaldo scored a fantastic extra-time header that gained him his first trophy in Madrid’s colours – it also happened to be the clubs first Copa del Rey award since 1993. 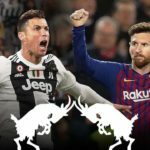 It marked a brilliant season for Ronaldo who scored a whopping 40 times in the league and earned his second European Golden Boot. He also was the first player to win the honour while playing in two leagues. Up until Ronaldo came along, Madrid’s top scorer was a man called Raul Gonzalez Blanco who was the only player to achieve 228 goals over the course of 550 games. Not many would have risked betting on anyone else reaching such success. 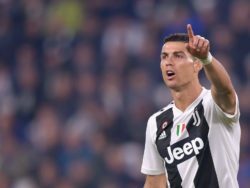 But not only did Ronaldo know he would surpass the achievement, he also managed it in just six seasons – he scored 280 goals in 262 appearances, an incredible achievement that makes him Real’s top scorer in the club’s history. Few players have enjoyed international success quite like Ronaldo and in 2016, as captain, he led his team to tournament glory. Portugal weren’t one of the top contenders for winning the title in 2016, scraping a victory in the group stages and battling it out to just make it through to the semi-finals. What makes their success even more outstanding is that Ronaldo himself lasted just twenty minutes in the much-anticipated game against France. 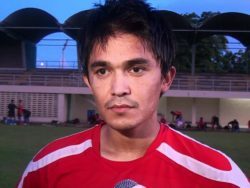 Despite being carried off in tears, he pushed the team on from the side-lines and they claimed the victory. 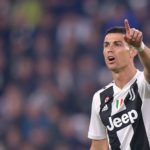 Over the course of the Champions League season in May 2018, Ronaldo scored 15 goals in 13 games. It was this performance that allowed Madrid to beat Liverpool 3-1 in the finals in Ukraine, earning him his fifth Champions League title win. Throughout the group stages of the 2018 World Cup, Ronaldo delivered amazing performances and even became the oldest player (at 33 years of age) to score a hat-trick in the first match against Spain. In his match against Morocco, he also became the top scorer in Europe of all time, achieving 85 international goals. 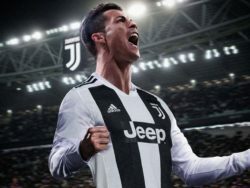 Ronaldo kicked off 2019 with his first trophy win with Juventus, helping them to win their eighth Italian Super Cup award when he was responsible for winning the only goal in the finals against Milan.